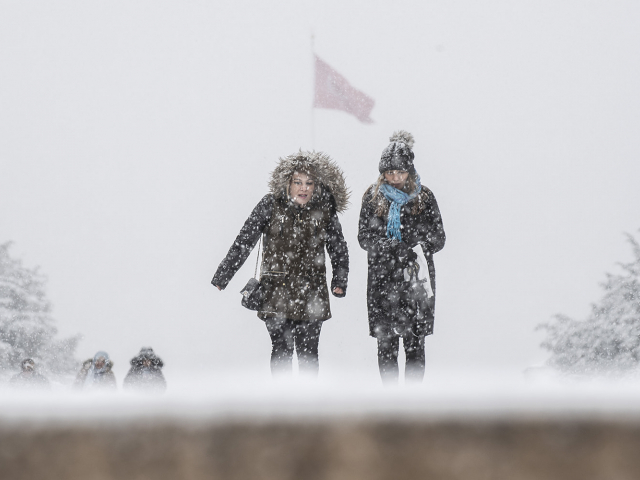 Europe is buried by heavy snowfall as severe weather continues to hit Austria, Germany, Poland and Switzerland. Over the past few days, snow banks have grown by several meters at once. Hundreds of settlements were de-energized. 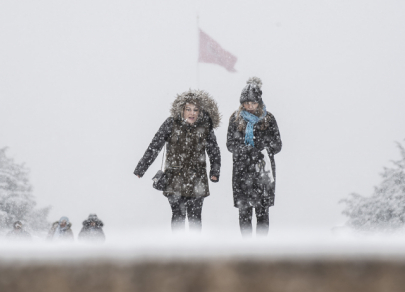 Schools were shut and flights were canceled in many cities. You can see Europe covered with snow in our photo gallery. 12:23 2019-01-20 Greece and Turkey that do not used to such weather look the most unusual under snow. 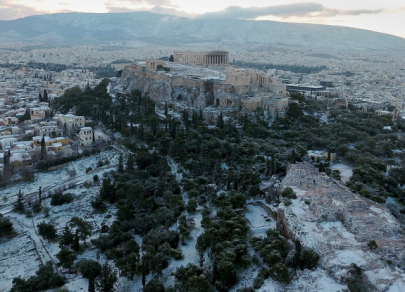 In the Greek capital of Athens, a rare snowfall was recorded, which covered national monuments and beaches. 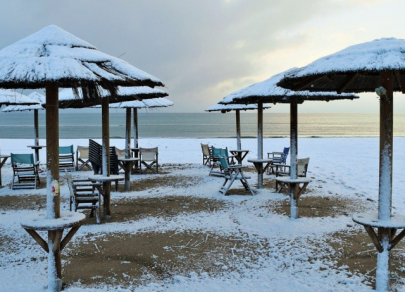 In the north of Greece, the temperature dropped to -20.9°C. 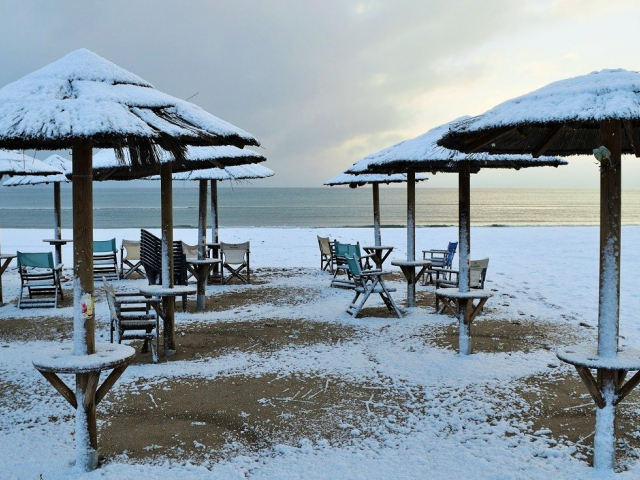 Greece and Turkey that do not used to such weather look the most unusual under snow. 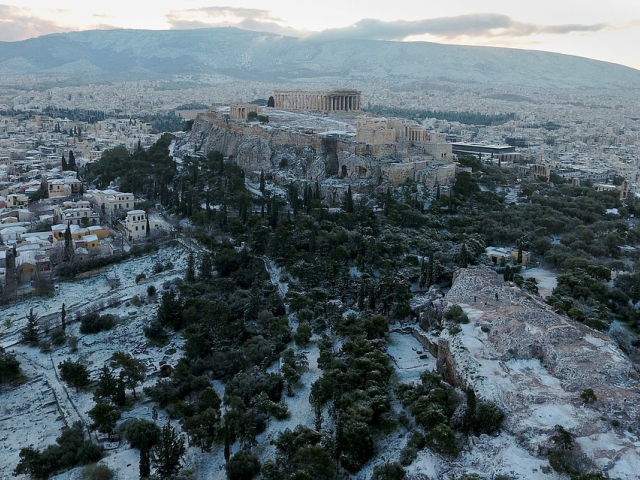 In the Greek capital of Athens, a rare snowfall was recorded, which covered national monuments and beaches. In the north of Greece, the temperature dropped to -20.9°C. 12:23 2019-01-20 Schools that are not adapted to work in such weather conditions are closed because of the frosts in the country. In addition, heated rooms are open in Athens, where homeless people can find shelter. 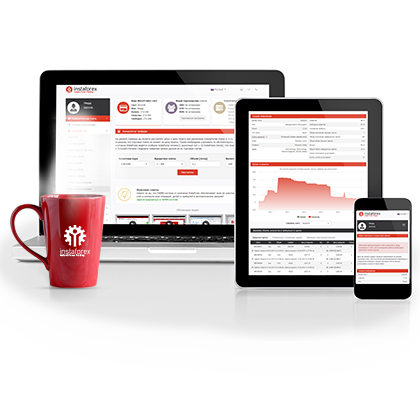 Schools that are not adapted to work in such weather conditions are closed because of the frosts in the country. In addition, heated rooms are open in Athens, where homeless people can find shelter. 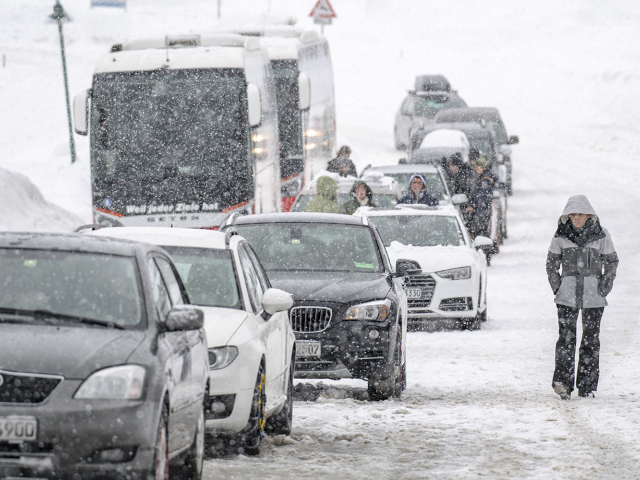 12:23 2019-01-20 Snow created a traffic collapse in Poland, where the highway leading to Gdansk was blocked due to an accident that occurred on an icy road. On the photo: a ski lift in the ski resort of Szczyrk, Poland. 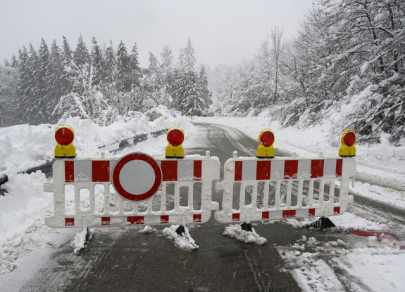 Snow created a traffic collapse in Poland, where the highway leading to Gdansk was blocked due to an accident that occurred on an icy road. 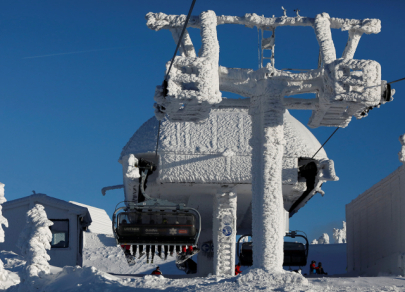 On the photo: a ski lift in the ski resort of Szczyrk, Poland. 12:23 2019-01-20 The most difficult situation is observed in the Northern and Eastern Alps, Germany and Austria. Over the last few days more than two meters of snow fell there. 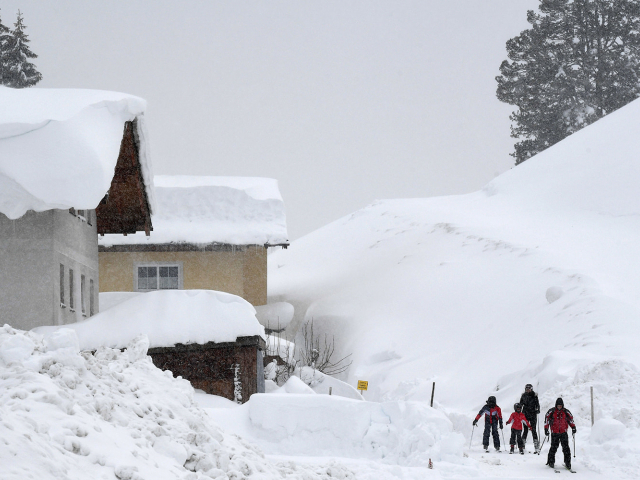 The most difficult situation is observed in the Northern and Eastern Alps, Germany and Austria. 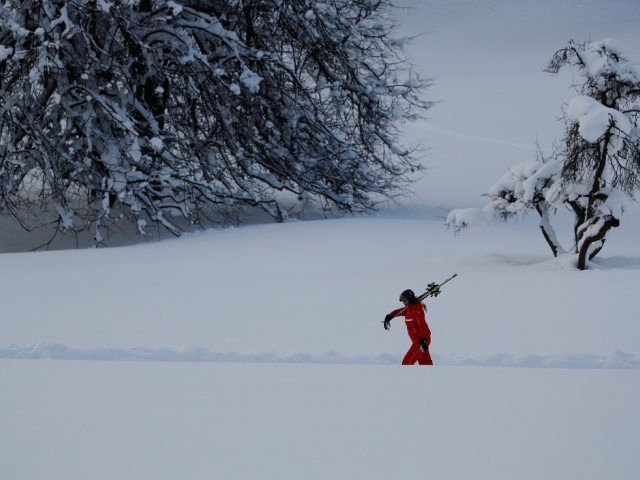 Over the last few days more than two meters of snow fell there. 12:23 2019-01-20 Hundreds of people in Austria cannot leave their homes because of the blocked roads. On the photo: the village of Filzmoos, Austria. Hundreds of people in Austria cannot leave their homes because of the blocked roads. On the photo: the village of Filzmoos, Austria. 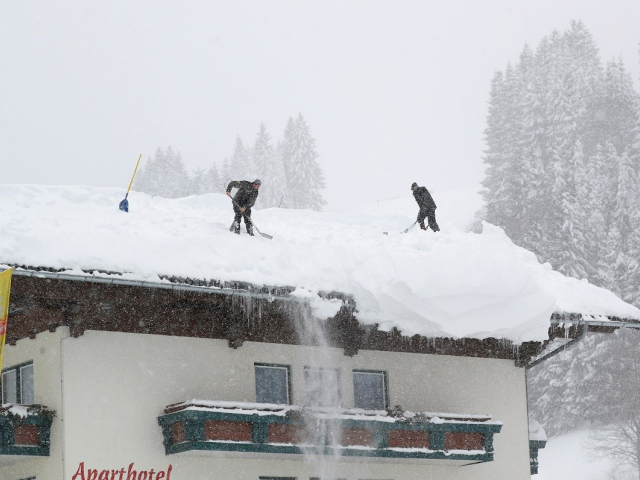 12:23 2019-01-20 Men clear the snow off the roof during heavy snowfall in Filzmoos, Austria. 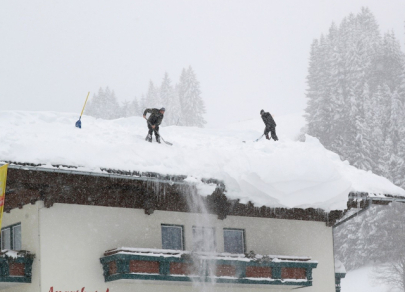 Men clear the snow off the roof during heavy snowfall in Filzmoos, Austria. 12:23 2019-01-20 In total, in recent days, 9 people died in Austria and Germany because of the Benjamin cyclone. In total, in recent days, 9 people died in Austria and Germany because of the Benjamin cyclone. 12:23 2019-01-20 The ski season is closed. For the first time in the history of the Austrian ski resort of Hochkar, it was forced to stop working due to the threat of an avalanche, and the staff and guests were immediately evacuated. The ski season is closed. For the first time in the history of the Austrian ski resort of Hochkar, it was forced to stop working due to the threat of an avalanche, and the staff and guests were immediately evacuated. 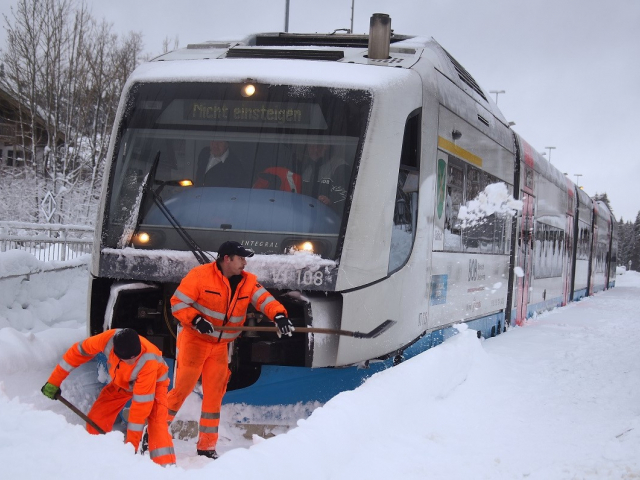 12:23 2019-01-20 In Germany, workers had to manually clear the tracks for trains. 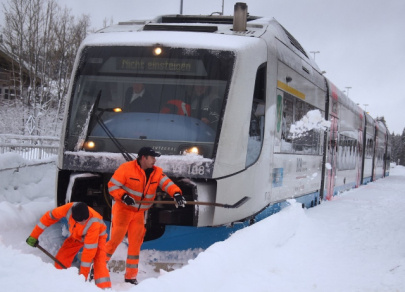 In Germany, workers had to manually clear the tracks for trains. 12:23 2019-01-20 According to forecasters, this weather will persist until the end of the week. Moreover, the cyclone continues to move south. 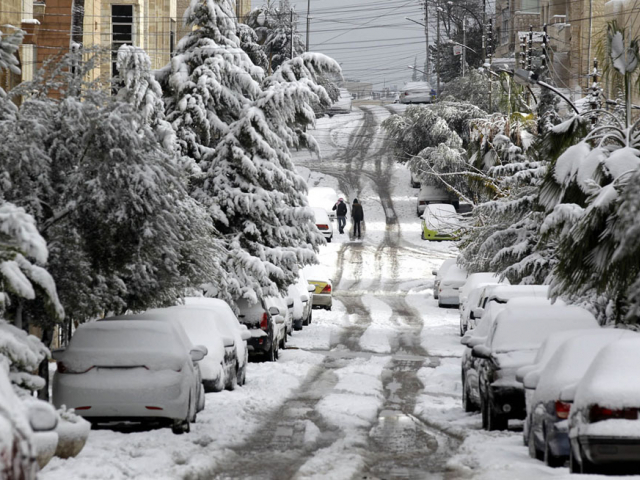 Snowfall covered Turkey, Lebanon and Israel. Due to snow and low visibility, Turkey closed the Bosphorus for the passage of ships. According to forecasters, this weather will persist until the end of the week. Moreover, the cyclone continues to move south. Snowfall covered Turkey, Lebanon and Israel. Due to snow and low visibility, Turkey closed the Bosphorus for the passage of ships. 12:23 2019-01-20 However, the snow was not destructive for Israel. 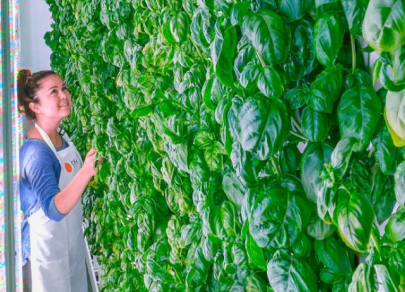 Since 2014, the country has suffered from a record drought, as a result of which the state’s water resources have been depleted, and the water intake from Lake Kinneret, Israel’s main natural reservoir, has become almost impossible. As a result of a powerful winter storm, the water level rose by 19.5 cm over the “black line”. 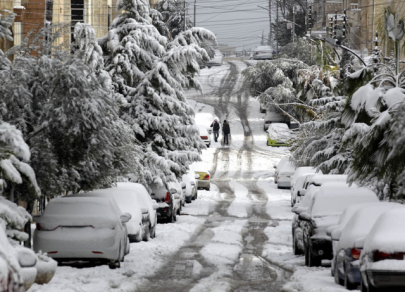 However, the snow was not destructive for Israel. Since 2014, the country has suffered from a record drought, as a result of which the state’s water resources have been depleted, and the water intake from Lake Kinneret, Israel’s main natural reservoir, has become almost impossible. As a result of a powerful winter storm, the water level rose by 19.5 cm over the “black line”.